Setting up MixCast now just requires adding a single prefab to the root of your scene! Existing projects will continue to function as expected. MixCast now maintains a Project Identifier for each project that the SDK is imported into, in order to better track which VR experience media is being generated from. Added ability to supply additional transforms to MixCast from the SDK so they can be referenced as transforms to be tracked. Displaying to the desktop, taking snapshots, and recording and streaming video are no longer the responsibility of the SDK. Benefits include fewer files to import and forward-compatibility of more MixCast functionality. Added Chromakey Desaturation feature to reduce the visibility of the keying color on the subject after background removal. Introducing automatic MixCast Snapshot capture allowing for periodic screenshots to be taken without user input. Added optional user-controlled branding feature to add a graphic to the MixCast output automatically.  Added user option to activate MixCast as soon as a MixCast-ready application opens. Fixed issue where certain Camera Clear Flags in Unity 5.6+ break Buffered Mode. Merged input feed shaders and materials using a multi_compile shader for easier custom effects. Added Posterize and HSV Modify (Desaturate, etc) variations on the input feed shader for custom player effects. Apply one of the shaders to the supplied Camera Feed material to activate it. Added tracked motion smoothing to reduce tracking and/or hand jitter. Improved WebcamFeed/MixCastCamera relationship for separation of concerns. Studio has new quick setup for FoV and Alignment. Added support for Oculus SDK based projects. Created Oculus and SteamVR specific code branches and an Editor process to activate the appropriate one(s) using define flags MIXCAST_STEAMVR and MIXCAST_OCULUS. Allowing “None” option for input device for a purely virtual camera that can still be tracked by a controller. Created additional isolation modes: “None” and “Static Subtraction”. None simply disables background removal while still allowing for foreground-based Mixed Reality. Static subtraction provides a rudimentary background removal system for fixed cameras which doesn’t require a greenscreen. The scene setup can influence the resulting quality greatly. Added ability for user to separate the In-Scene Display from the Camera location. As a result the visual representations are now in separate sub-groups of the MixCast Camera prefab. Expanded tracked camera capabilities to be configurable to any tracked controller. Restructured UI for clarity and expandability. Added buffered output mode with configurable game delay for camera latency compensation. Added icon on in-scene display to communicate if the camera is tracked. Added quadrant output mode for recording.